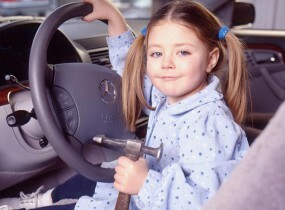 t Auto Collision Specialists, we’re car enthusiasts, just like our customers. 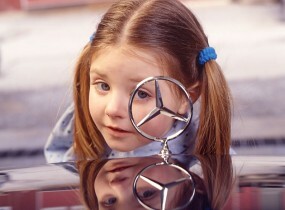 We don’t just repair cars as a job, we also love cars as a hobby. We customize our own vehicles, collect vintage memorabilia, and enjoy car shows in a our spare time. 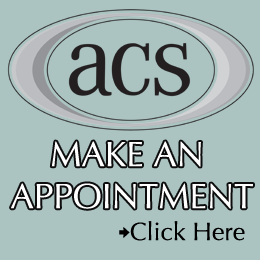 As a family owned and operated business, we enjoy finding creative ways to personally reach out to our customers. 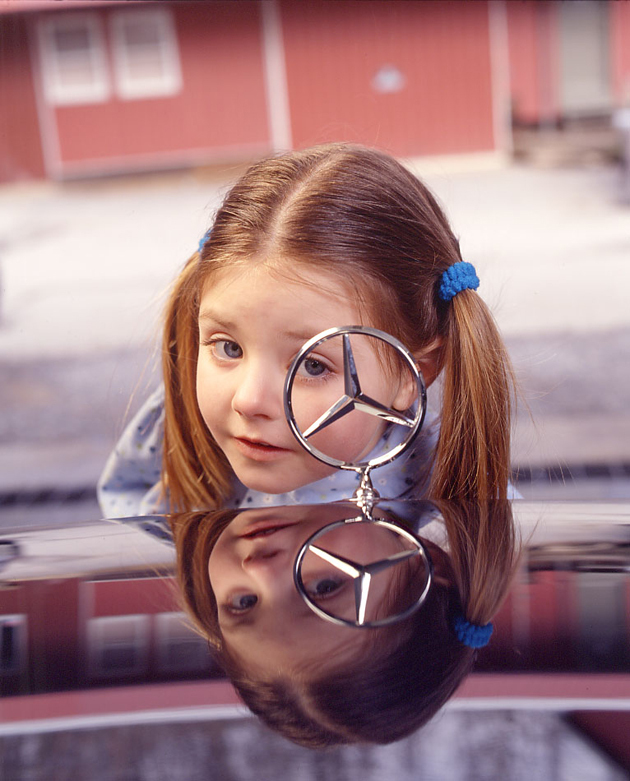 Fourteen years ago, we were inspired to create our own variation on a vintage 1961 Mercedes-Benz repair ad. 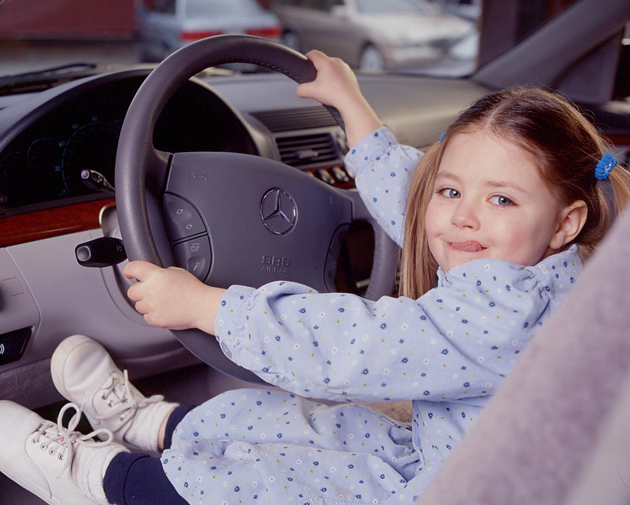 he little girl in the ad is named Grace Anne Chambers, a life-long family friend who was two years old when the photo was taken. The photographer on the project was Bryan Burris from Baltimore Magazine. The ad remains one of our favorite things we’ve put together. It was an opportunity to involve family and friends in our marketing efforts, and the end result turned out great. One of our colleagues, owner of a body shop shop in Atlanta, liked the ad so much he asked to use the photo for his own Mercedes-Benz repair facility. 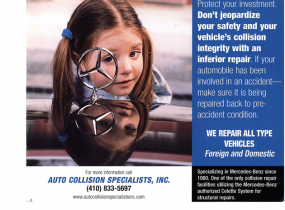 ne of the great things about the ad is that it communicates that proper collision repair isn’t just about getting your car back on the road, it’s about keeping your family safe. 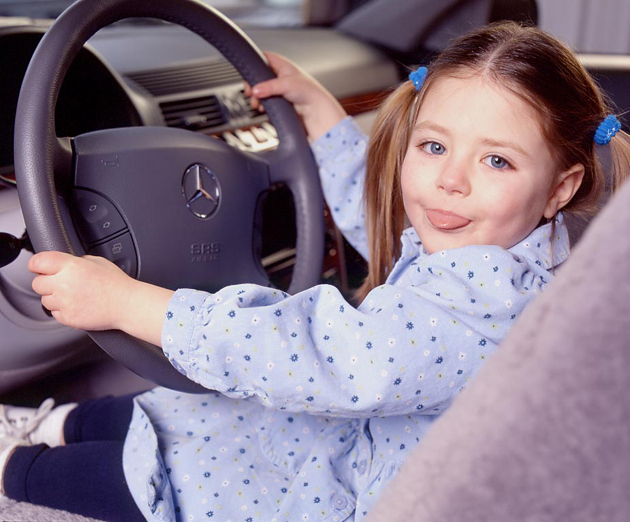 The most important reason to repair your vehicle back to pre-accident condition is to ensure that the structure and safety systems are functioning the way they were intended to at the factory. 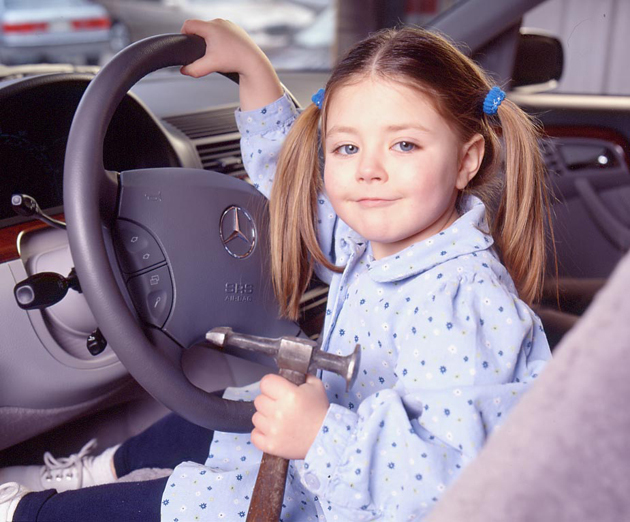 That’s how we do things at Auto Collision Specialists, and it’s why we were Baltimore’s first Certified Mercedes-Benz Repair Facility.